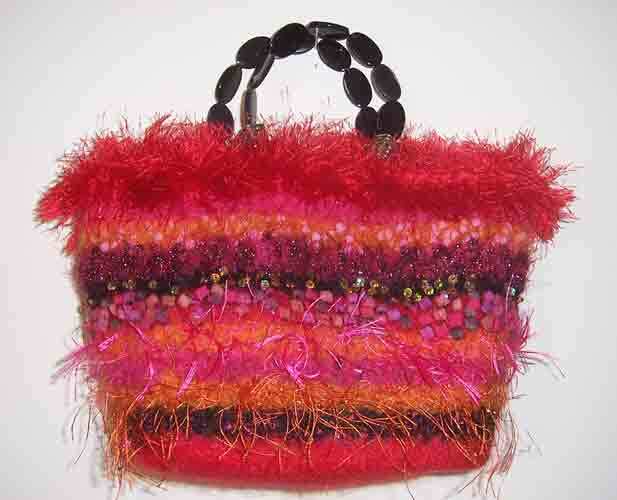 Bright red, pink and orange bag is an explosion of color! Gold sequins and red fur topped with black onyx handles. Approximate dimensions 7 (h) 9 (w) 4 (d).